A friend of mine, a person of the highest literary and moral worth, was kind enough to copy a number of articles from a publication called Outdoor Life and, give the devil his due, they got my attention. 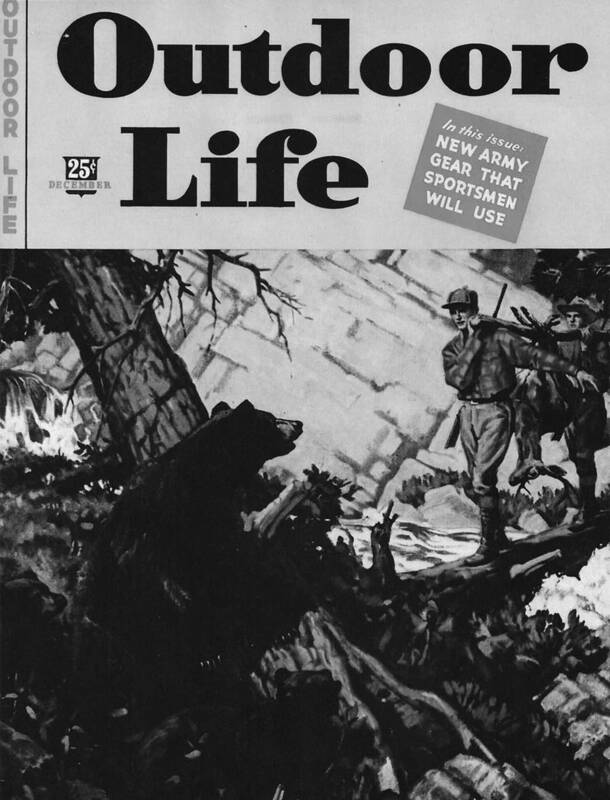 One of the first I read was a fascinating piece from the December, 1943 issue (25 cents on the newsstand) entitled “Developed by the Army—New Gear that Sportsmen Will Use,” by Arthur Grahame. It was a gee-whiz article of the kind that was common at that time and into the 1950s. To put it in perspective, by December 1943 it was likely that we would not lose World War II, and so there was a lot of loose optimism floating around, and people were inclined to believe what the government told them, true or not. 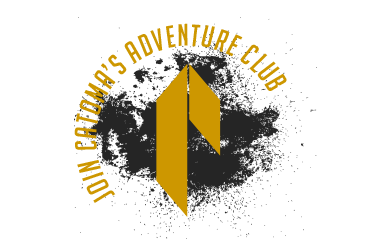 So, Mr. Grahame informed us, there was an organization called the Special Forces Section of the Research and Development Branch of the Quartermaster Corps, under the command of one Lt. Col. David B. Dill, who had formerly been in charge of the Harvard (University) Fatigue Laboratory (whatever this might have been). The section was staffed by academics who were also outdoorsmen, and was charged with collecting data on the more uninhabitable parts of the globe to figure out what kind of equipment our soldiers would need to go and die in them, and then designing it. Among the items was an all-weather hammock, complete with mosquito bar, a rainproof roof, and a rifle compartment in the underside. It looks like a good idea, except that while you were snoring away, a son of Dai Nippon could reach inside and slit your throat. The average soldier or Marine who was sent into combat in the Pacific spent his nights in a hole that was partially filled with water most of the time, and had a little shelf dug in the side for hand grenades and a knife. Until the sun rose, you left that hole at your very great peril. Another failure was all-purpose soap. It would lather in any kind of water, could be used for shaving, and was flavored like candy so you could brush your teeth with it. Or you could slather it on your face to prevent sunburn. I’ve never seen any mention of it in accounts of the war, so who knows? Two items that apparently did succeed were a hinged snowshoe binding (Where the hell did we use snowshoes?) as opposed to the old-fashioned style which did not flex, and a waterproof match safe with a compass on one end and an all-weather striker on the other. This sounds like an improvement on the original Marbles Match Safe which was patented in 1900, and there are plenty of such items around today. But I’ve never heard of a G.I. using one. They all carried Zippo lighters. If you recall the opening scene of Saving Private Ryan, you’ll remember that some of the soldiers carried their rifles in plastic bags to keep the English Channel off them. I thought this a bunch of hooey until I saw just such a bag in this article. Apparently, you could shoot right through it, and trapped air inside would float your rifle. Or so the article sayeth. There are white-felt boots that were never issued, and a canvas, rubber-bottom jungle boot—ditto, ditto. We didn’t develop a decent cold-weather boot until the Mickey Mouse boot came along during the Korean War. Prior to that, soldiers and Marines were issued shoepacs—rubber-bottom, leather top–which everyone detested because your feet quickly became soaked with sweat and then they froze. The canvas jungle boots never went to war, and we never developed real jungle boots until after a few years in South Vietnam, Republic of, but they didn’t look anything like these. The army that did pick up on the idea was the Israeli Army, which created an industrial-strength high-top sneaker for the desert. I remember them very well because Abercrombie & Fitch used to sell them, and Warren Page whined at me until I bought him a pair for a trip to Africa. There’s a laminated-wood pack frame, which looks decent, and which we used plenty, especially in Italy, where it was so steep that even mules couldn’t get to a lot of places, but G.I.s could. We were assured that this frame would withstand anything, but apparently it didn’t, because in a subsequent piece Mr. Grahame informed us of a new packframe, this one aluminum, which could be bashed back into shape if the inhuman loads placed on it bent it out of shape. We had a lightweight, gasoline-fueled stove that wouldn’t clog, but apparently hexamine tablets worked better. There were several different sleeping bags, but they all had a fatal flaw: you couldn’t get out of them quickly. This was a real problem in Korea, where it was so cold that you couldn’t survive a night without your bag, but unless you could get out of it in a second you were likely to get bayonetted. My field-first sergeant in basic training fought in Korea, and saw an entire company of Marines who had been killed in their bags. The tone of Mr. Grahame’s article brings a wry smile today. War, it says, can be pretty comfortable because of the efforts of Colonel Dill and his colleagues, and after the war we can benefit as well. Omar Bradley, the G.I. General, had a more accurate picture. War, he said, is unrelieved misery, fear, and exhaustion. General Bradley knew whereof he spoke. When given a choice of using shipping space for ammunition or winter uniforms in 1944, he chose ammo. That winter turned out to be the worst in Europe in 50 years, and his troops paid accordingly. Written by David E. Petzal for Field & Stream.